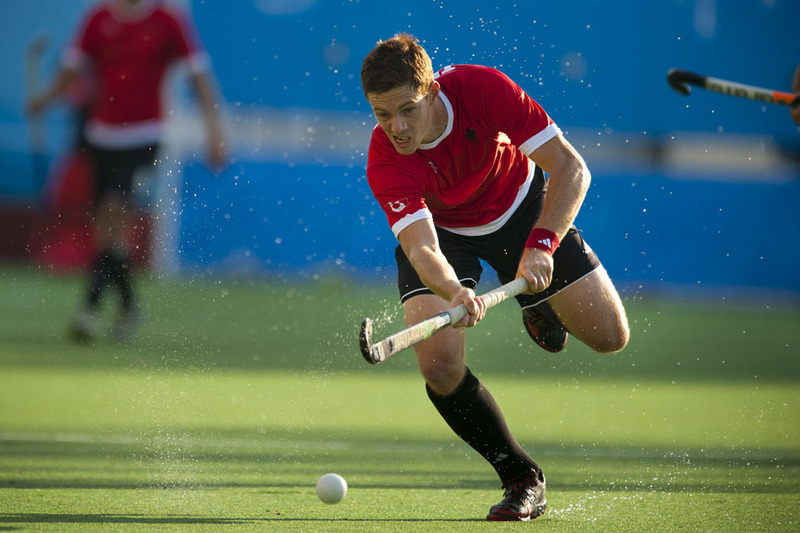 Oct. 29, 2011 - Guadalajara, Mexico - SCOTT WILLIAM MARTIN TUPPER of Canada drives the ball up the field on his way to score Canada's first and only goal during the men's hockey gold medal match, part of the Pan American Games. Argentina won gold, beating Canada 3-1. 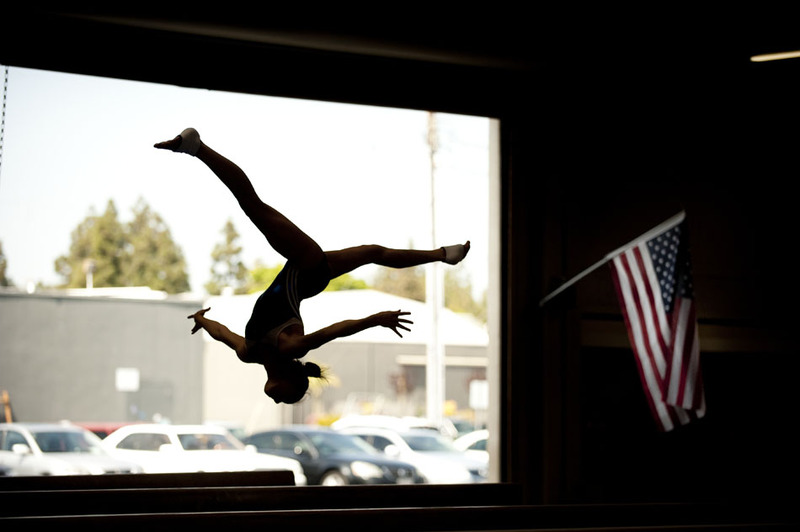 Oct. 29, 2011 - Guadalajara, Mexico - ERIC THOMAS SEHN of Canada executes a dive during the men's 10M platform individual diving preliminaries. 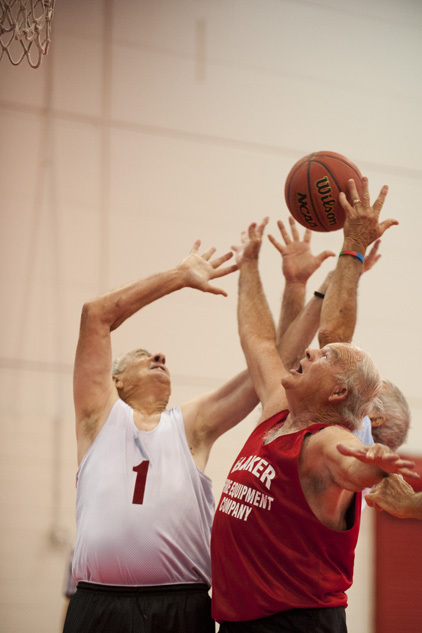 From left, Fred Eitmann of Mississippi and Bobby Baker of the South Carolina Drlington Generals battle for the rebound during their basketball game at the George R Brown Convention Center in Houston Texas, on the second day of the Summer National Senior Games on Saturday, June 18, 2011. The South Carolina team won 29-25. 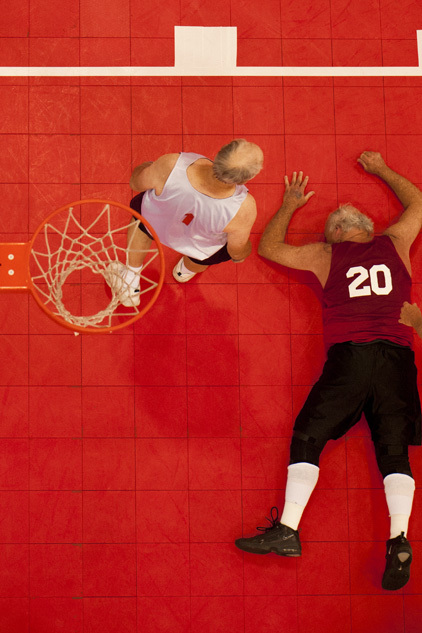 Fred Eitmann of Mississippi walks past Bobby Baker of South Carolina who was on the floor under the basket after being knocked down during his 70+ basketball game against Mississippi at the George R Brown Convention Center in Houston Texas, on the second day of the Summer National Senior Games on Saturday, June 18, 2011. 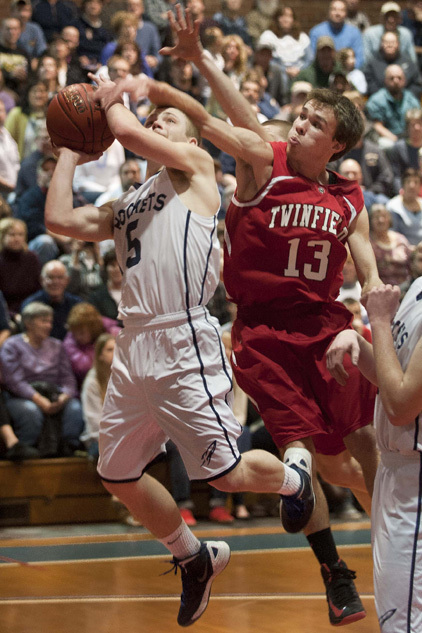 Baker was able to continue playing until his arm started bleeding in the final minutes of the game from an unrelated injury. Oct. 30, 2011 - Guadalajara, Mexico - The United States of American and the Dominican Republic basketball teams celebrate following the men's basketball bronze medal game featuring the United States of America vs the Dominican Republic, part of the 2011 Pan American Games. 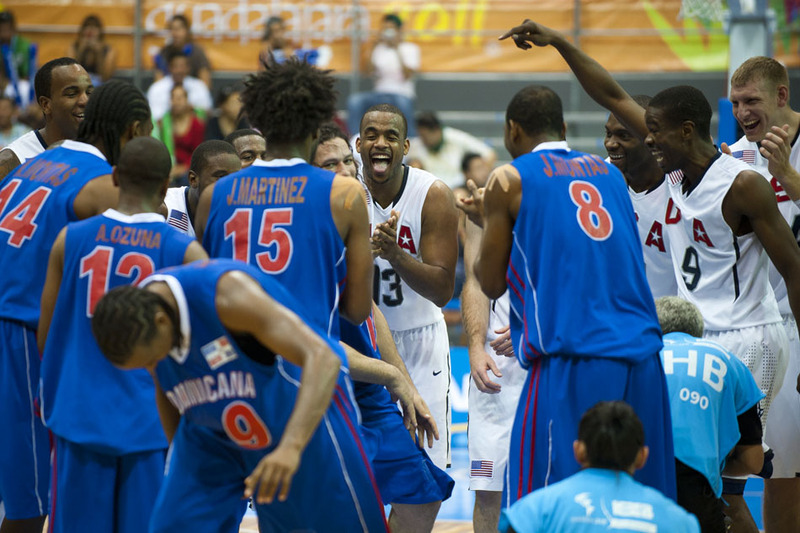 The United States of America won over the Dominican Republic 94-92 earning the bronze medal. 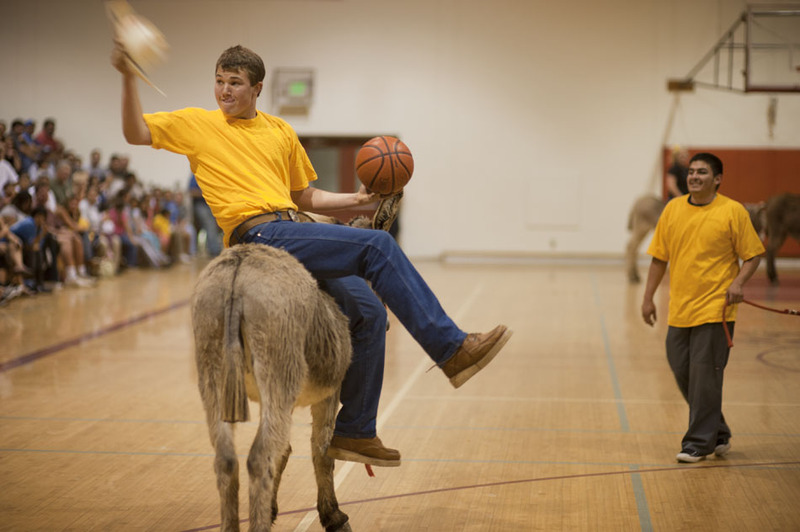 Following the game, both teams celebrated together. 1st referee Brig Beatie reacts, as the action gets a little close during the Pepperdine vs. Rutgers game at Pepperdine University in Malibu Calif., on Saturday, March 19, 2011. 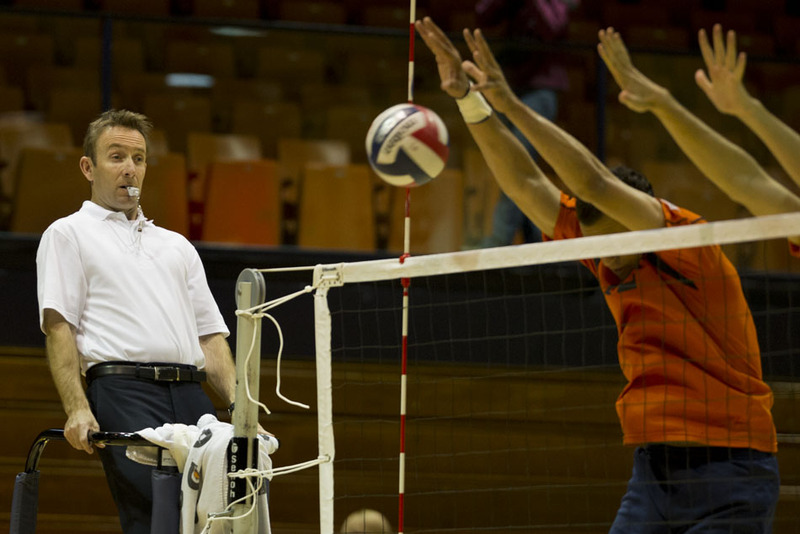 Pepperdine defeated Rutgers 3 matches to 1. 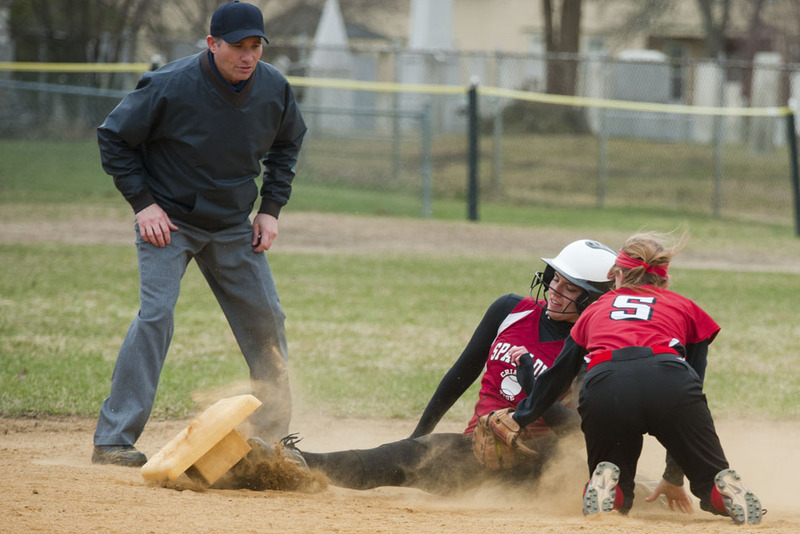 Spaulding's Stef Bullock successfully steals second, dislodging the base, ahead of the tag from Rutland's Lauren Keefe, at right, during Spaulding's softball win over Rutland on Tuesday, April 23, 2013 at Lincoln Field in Barre, Vt.
Joe Cabrillo of Carpinteria High School beats the throw at second base during the Carpinteria vs Cate School game at Cate School in Carpinteria Calif., on Saturday, April 2, 2011. 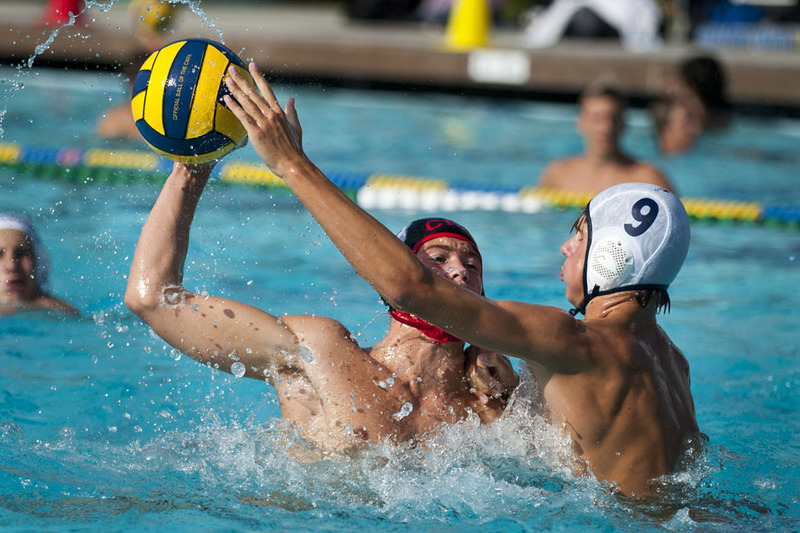 Carpinteria High School won 12-5. 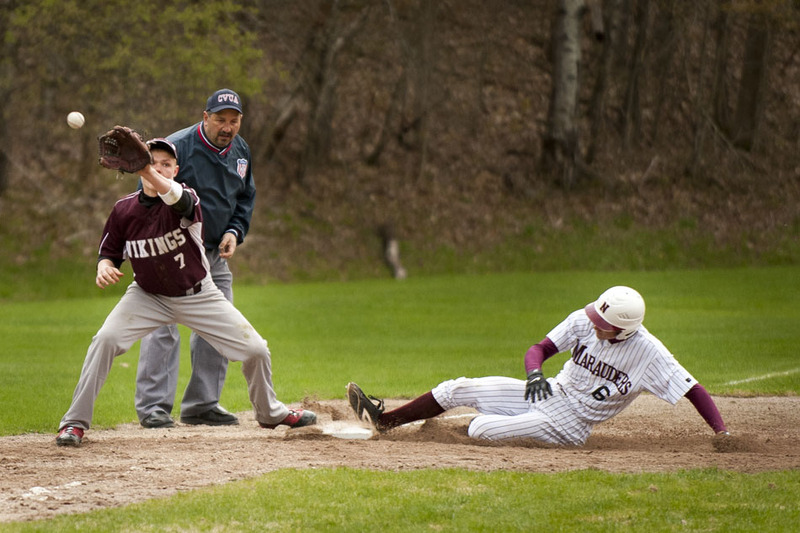 Northfield Marauders #6 Z. Daley steals third ahead of the throw to Lyndon Vikings #7 James Shyfelt during their baseball game in Northfield. Northfield was leading Lyndon 8-0 in the fifth inning. 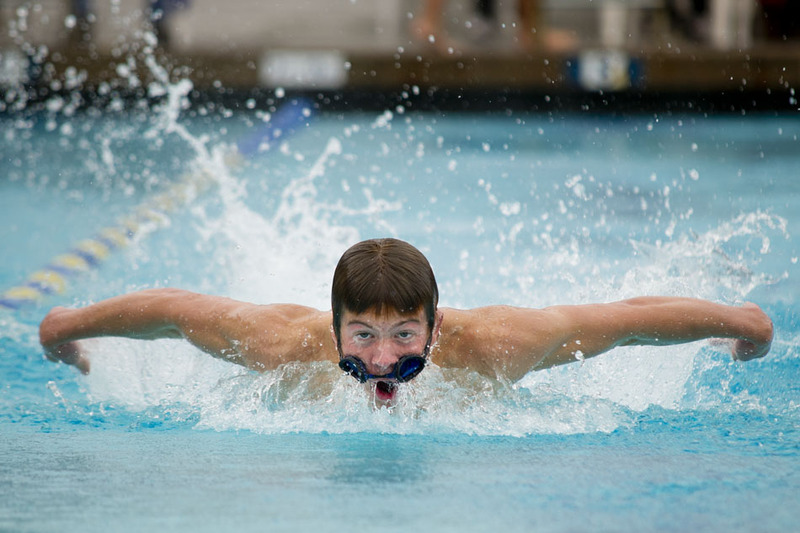 Carpinteria Warrior's Ben O'Hara loses his goggles while swimming the butterfly leg of the boys varsity relay during a high school swim meet hosted by Carpinteria High School at Carpinteria Middle School in Carpinteria Calif., on Wednesday, March 23, 2011. 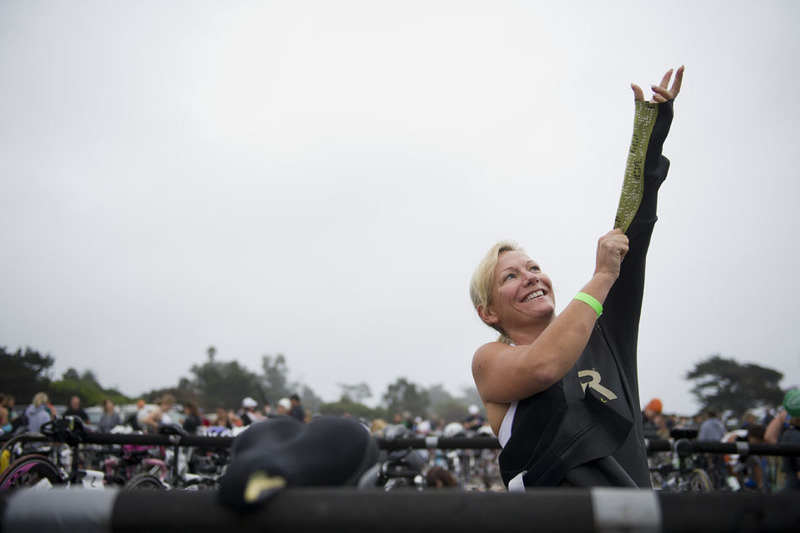 Julie Ungerleider pulls on her wetsuit in preparation for the start of the Carpinteria Triathlon on Sunday, Sept. 25, 2011. Ungerleider finished 160th overall in the Olympic course with a total time of 2:59:05. 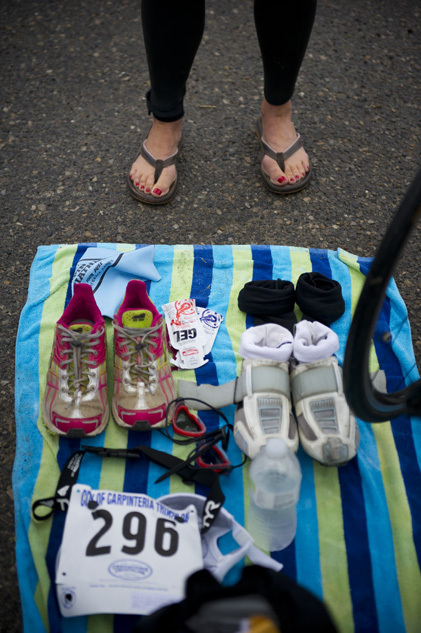 Julie Ungerleider stands by her gear in the transition area during preparation for the start of the Carpinteria Triathlon on Sunday, Sept. 25, 2011. Ungerleider finished 160th overall in the Olympic course with a total time of 2:59:05. 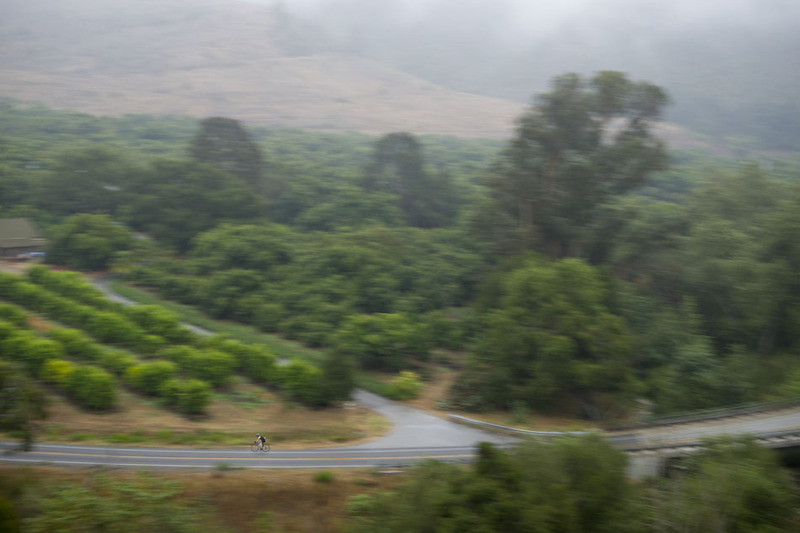 Taylor Beach decends a hill on highway 150 during the cycling leg of the Carpinteria Triathlon on Sunday, Sept. 25, 2011. 17 year old Beach finished 42nd overall on the sprint course with a total time of 1:05:39 . 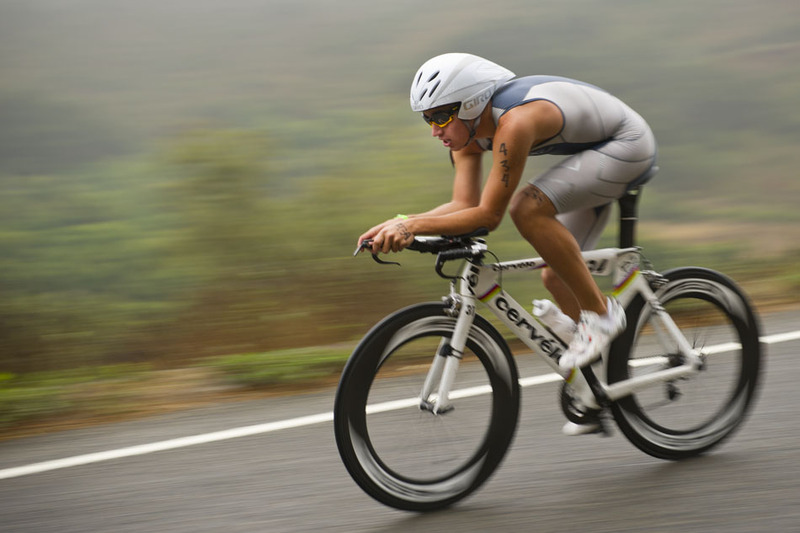 An athlete races on highway 150 during the cycling leg of the Carpinteria Triathlon on Sunday, Sept. 25, 2011. 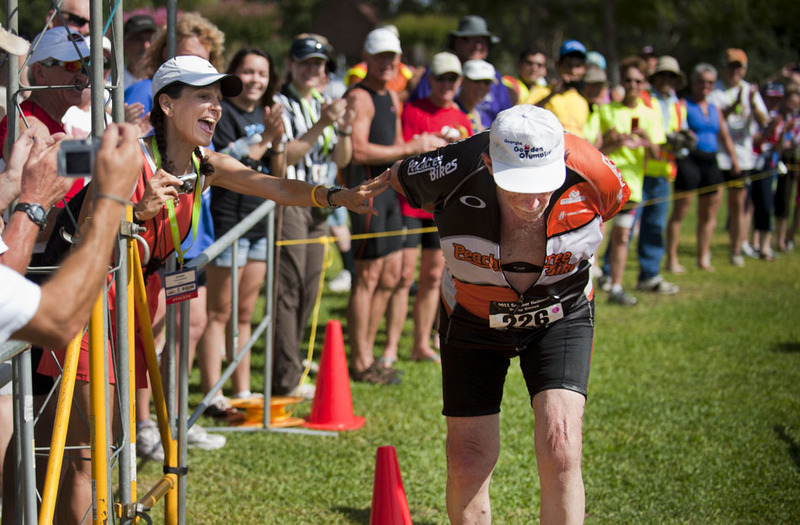 John C Taylor, 90, of Atlanta Ga. is cheered on by a large crowd of supporters as he crosses the finish line of the triathlon at Southwyck Lake Park at Silverlake in Pearland Texas on the eleventh day of the Summer National Senior Games on Sunday, June 26, 2011. 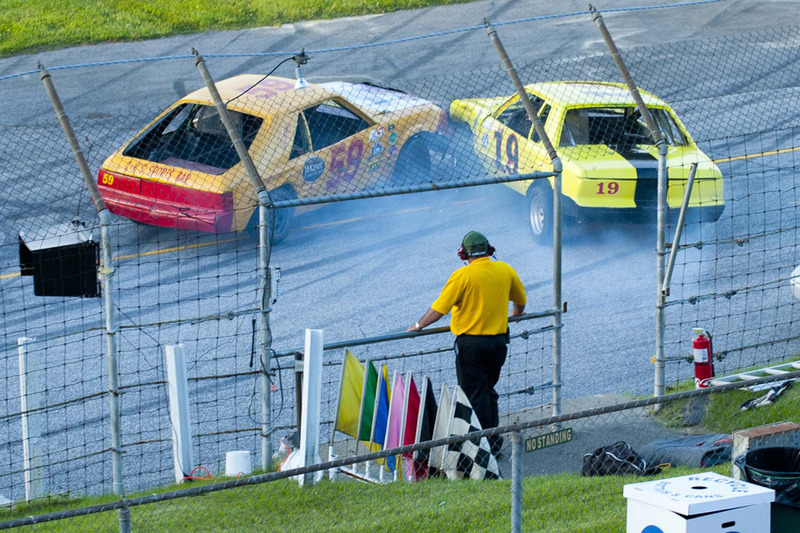 Taylor had some difficulty completing the race but when he did finally make it to the finish he was greeted by a huge outpouring of applause and support from the gathered crowd. 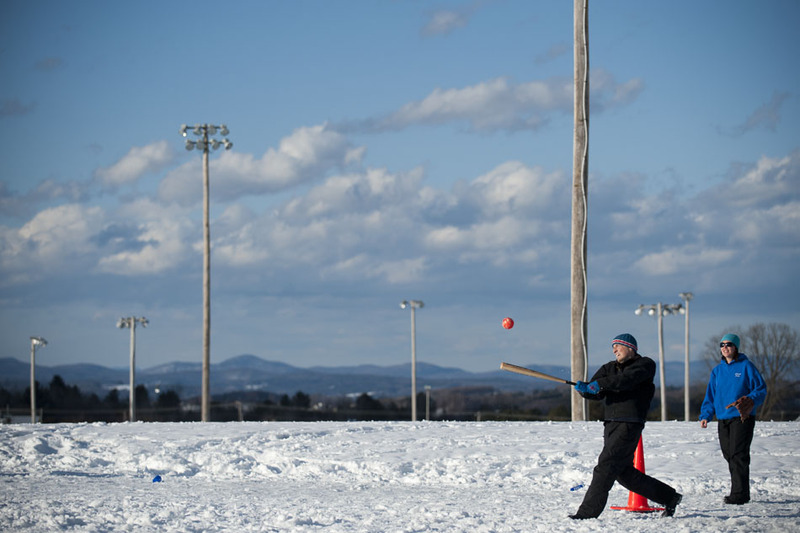 BARRE TOWN -Joe Yaeger of hits the ball to left field during the Freezing Fun For Families Winter Co-Ed Softball Tournament at the Barre Town Rec Fields in Barre Town Vermont on Saturday, March 3, 2012. 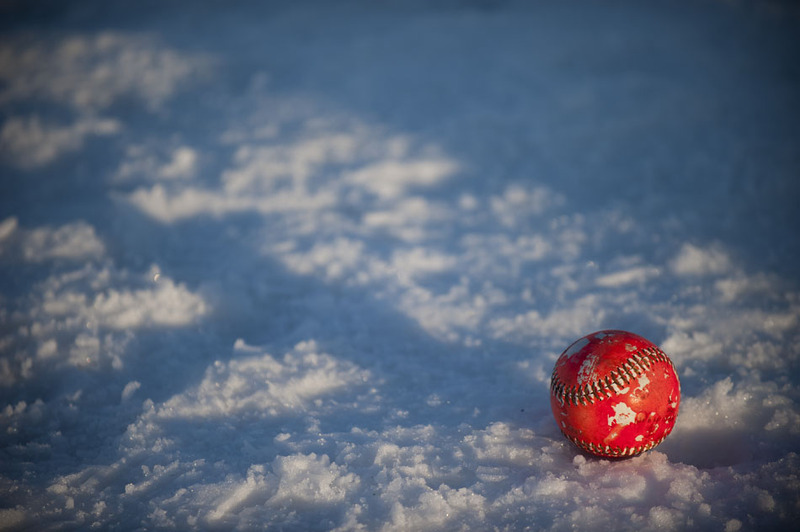 BARRE TOWN - Freezing Fun For Families Winter Co-Ed Softball Tournament at the Barre Town Rec Fields in Barre Town Vermont on Saturday, March 3, 2012. 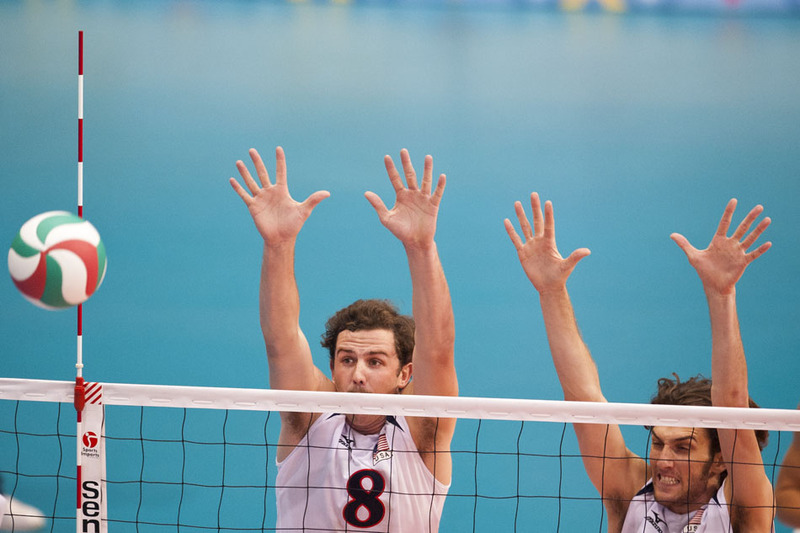 Oct. 28, 2011 - Guadalajara, Mexico - KYLE CALDWELL and NICHOLAS VOGEL of the United States of America jump to block a ball during their men's volleyball placement match, part of the Pan American Games. The United States of America won over Venezuela 3 sets to 2. 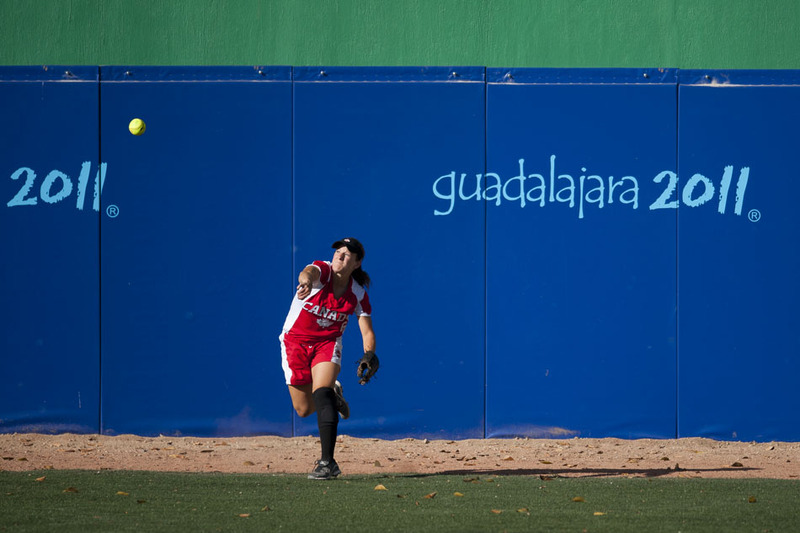 Oct. 22, 2011 - Guadalajara, Mexico - HEATHER EBERT of Canada throws the ball in from right field during Canada's softball semifinal game against Venezuela. Canada won the game 11 to 1 over Venezuela, and will face Cuba tomorrow to determine who will take bronze and who will play against the United States of America for the gold medal. 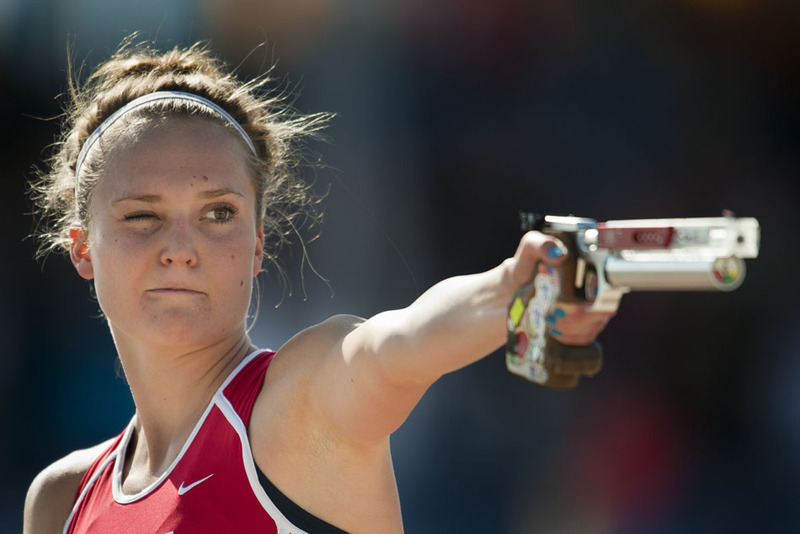 Oct. 15, 2011 - Guadalajara, Mexico - MARGAUX ISAKSEN from the United States of America competes in the shooting portion of the final combined (shooting and running) event of the women's modern pentathlon at the Pan American Games. 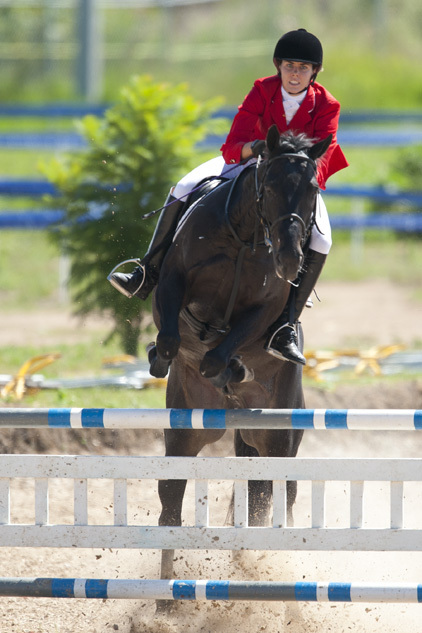 Isaksen went on to win gold for the United States in the pentathlon. 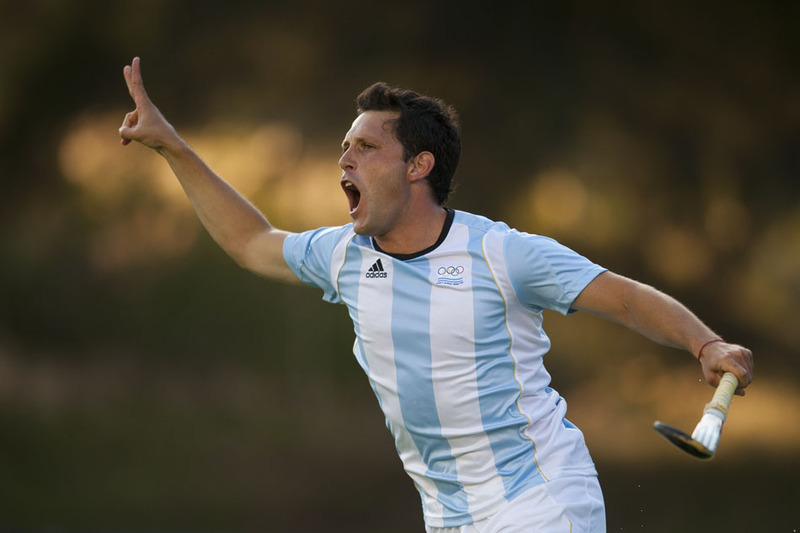 Oct. 29, 2011 - Guadalajara, Mexico - PEDRO IBARRA of Argentina celebrates after scoring Argentina's second goal of the game against Canada, during the men's hockey gold medal match, part of the Pan American Games. Argentina won gold, beating Canada 3-1. 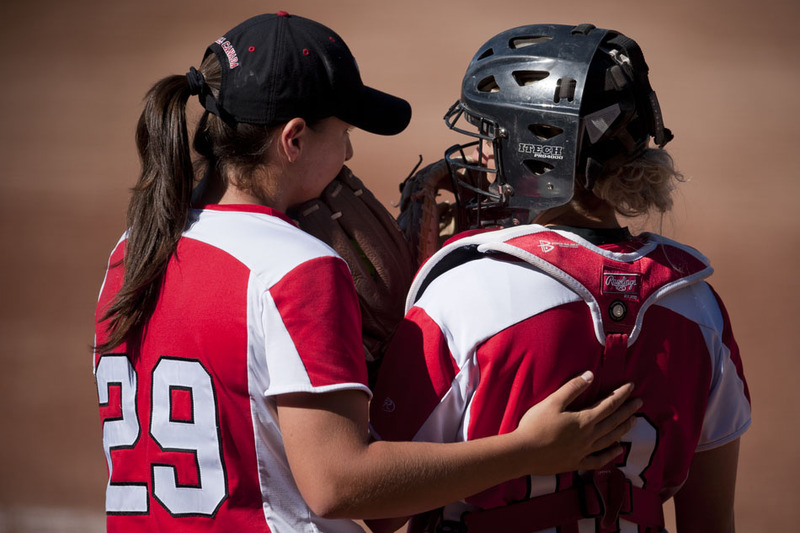 Oct. 22, 2011 - Guadalajara, Mexico - Pitcher EUJENNA CAIRA and catcher ERIN CUMPSTONE of Canada consult during their softball semifinal game against Venezuela. Canada won the game 11 to 1 over Venezuela, and will face Cuba tomorrow to determine who will take bronze and who will play against the United States of America for the gold medal. 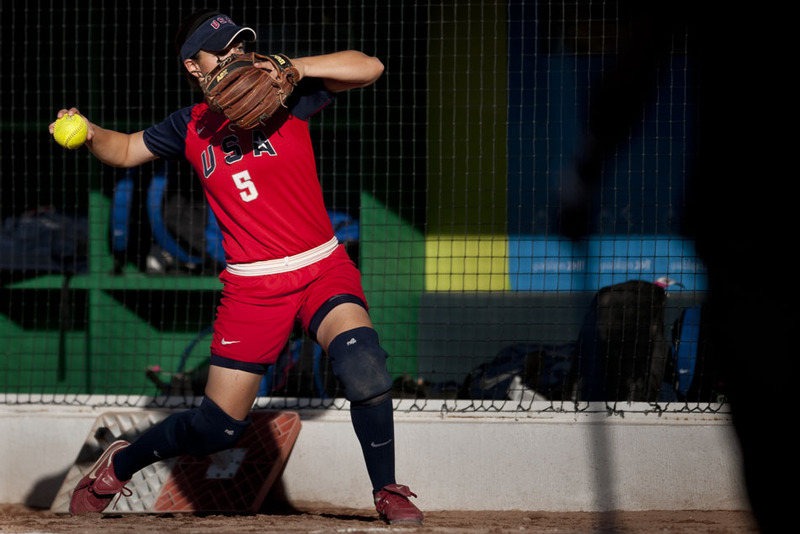 Oct. 22, 2011 - Guadalajara, Mexico - STACY JOHNSON of the United States of America warms up before her softball semifinal game against Cuba. The Untied States of America won the game 13-1 over Cuba and will play against either Cuba or Venezuela tomorrow for the gold medal. 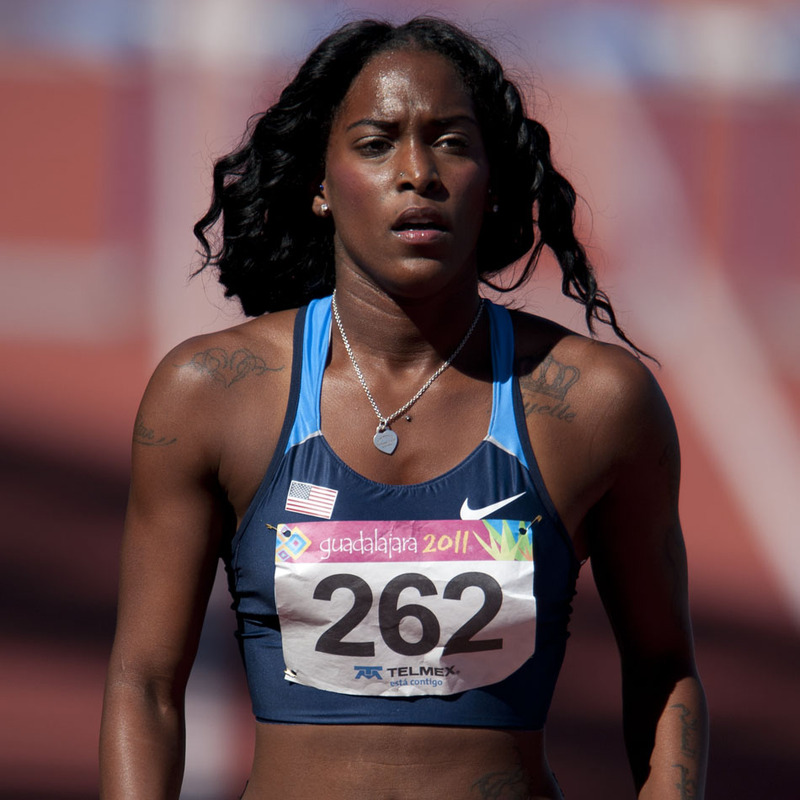 Oct. 24, 2011 - Guadalajara, Mexico - TAKECIA JAMESON of the United States of America after the finish of the women's 400m hurdles semifinal heat 1/2, part of the 2011 Pan American Games. Jameson placed third in her heat with a time of 58.68 seconds and qualified for the finals. 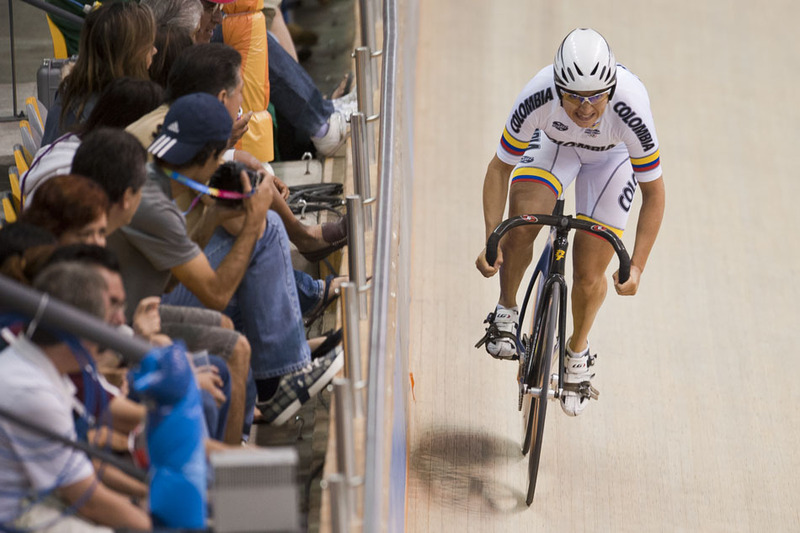 Oct. 18, 2011 - Guadalajara, Mexico - DIANA GARCIA of Columbia starts to race during the 200m flying start women's qualifying round at the Pan American Veolodrome, part of the Pan American Games. 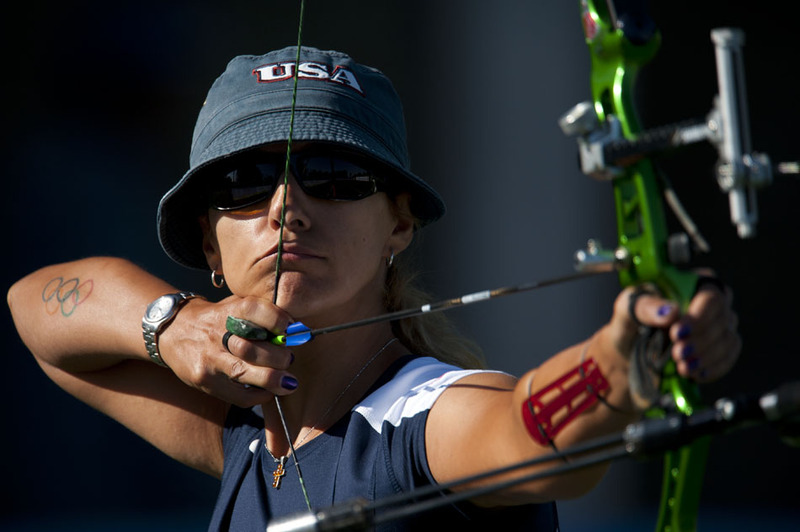 Oct. 19, 2011 - Guadalajara, Mexico - KHATUNA LORIG of the United States of America competes in the women's individual archery quarterfinals, Part of the Pan American Games. 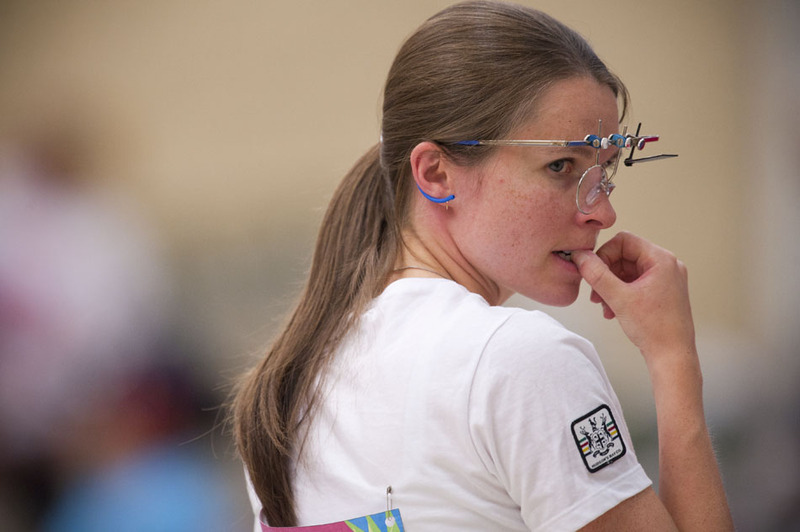 Oct. 16, 2011 - Guadalajara, Mexico - DOROTHY LUDWIG of Canada after completing the Women's 10M Air Pistol qualifying round. 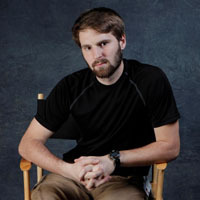 Ludwig achieved the second highest score in the qualifying round 380 and will advance to the finals. 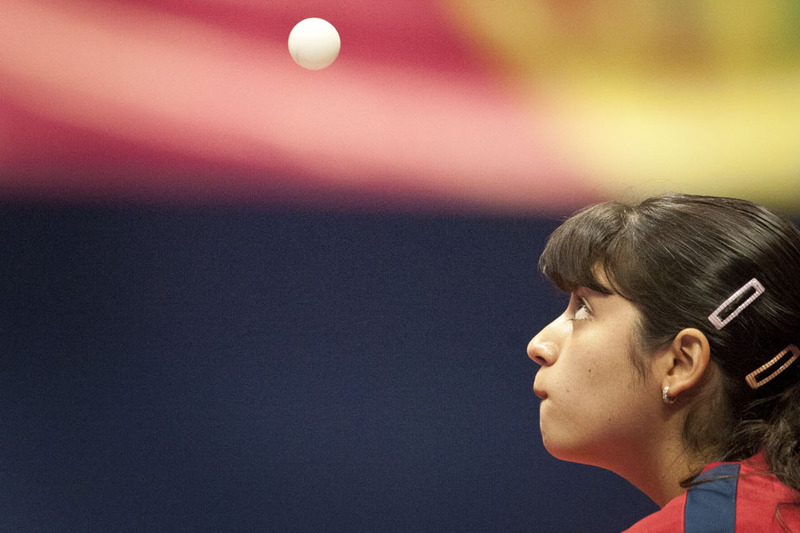 Oct. 17, 2011 - Guadalajara, Mexico - WU XUE of the Dominican Republic serves during the women's Team Table Tennis finals, part of the Pan American Games. 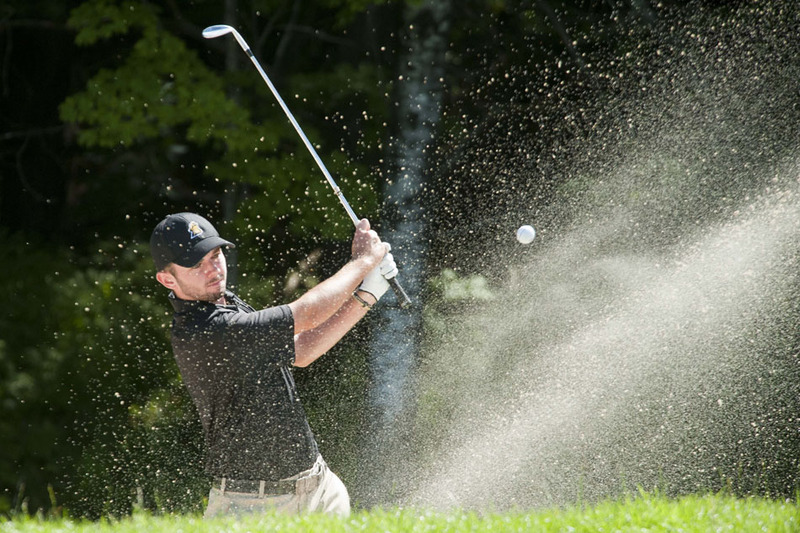 The Dominican Republic won gold in the event with three wins and two losses in 1 hour 38 minutes of play. Oct. 17, 2011 - Guadalajara, Mexico - The Dominican Republic team celebrates after winning gold in the women's Team Table Tennis finals, part of the Pan American Games. The Dominican Republic won gold in the event with three wins and two losses in 1 hour 38 minutes of play. Oct. 23, 2011 - Guadalajara, Mexico - JERONIMO ARTURO AMIONE of Mexico moves the ball over DIEGO MARTIN RODRIGUEZ of Uruguay during the second half of the soccer (football) match Mexico vs Uruguay, part of the Pan American Games. Mexico won the match 5-2 over Uruguay. Oct. 23, 2011 - Guadalajara, Mexico - ORIBE PERALTA and JERONIMO ARTURO AMIONE of Mexico react after Peralta scored during the second half of their soccer (football) match Mexico vs Uruguay, part of the Pan American Games. Mexico won the match 5-2 over Uruguay. 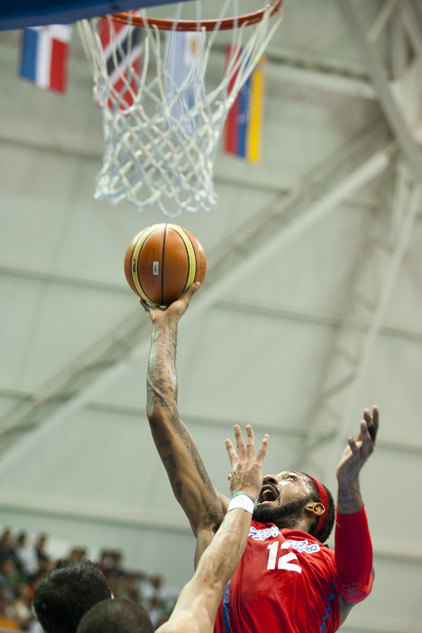 Oct. 30, 2011 - Guadalajara, Mexico - RENALDO BALKMAN of Puerto Rico shoots during the men's basketball gold medal game featuring Mexico and Puerto Rico, part of the 2011 Pan American Games. Puerto Rico won over Mexico 74-72 earning gold in the Pan American Games while the team from Mexico took home silver. 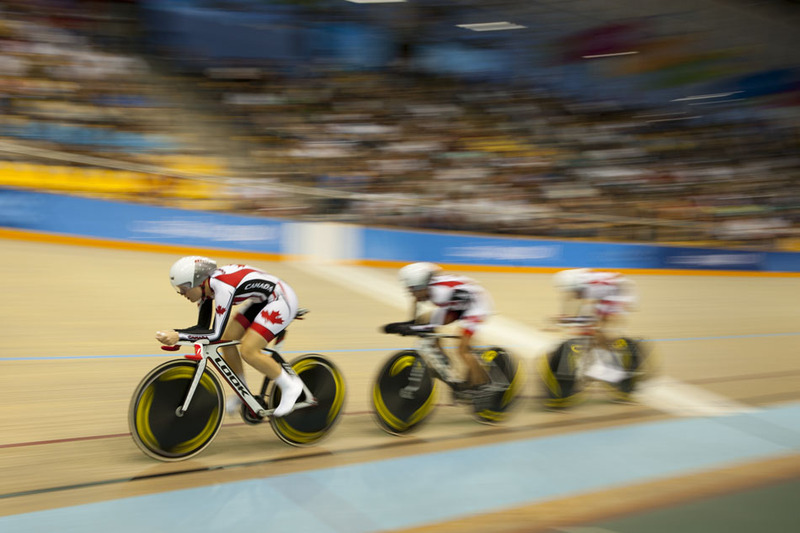 Oct. 18, 2011 - Guadalajara, Mexico - The Canadian women's cycling team, STEPHANIE ROORDA, JASMIN GLAESSER, and LAURA KATHERINE BROWN, race in the women's team pursuit finals at the Pan American Veolodrome, part of the Pan American Games. The Canadian team won gold in the women's team pursuit event. 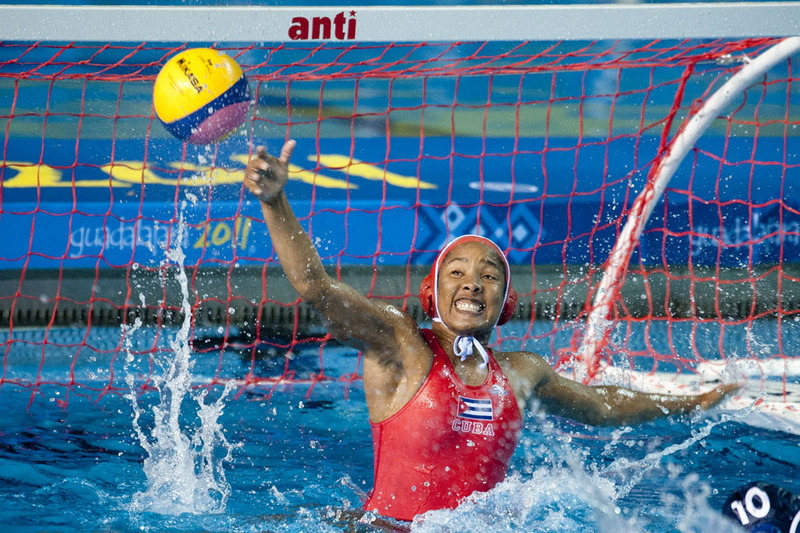 Oct. 26, 2011 - Guadalajara, Mexico - MAIRELYS ZUNZUNEGUI of Cuba attempts to block a goal scored by Canada during the women's water polo semifinal match, part of the Pan American Games. 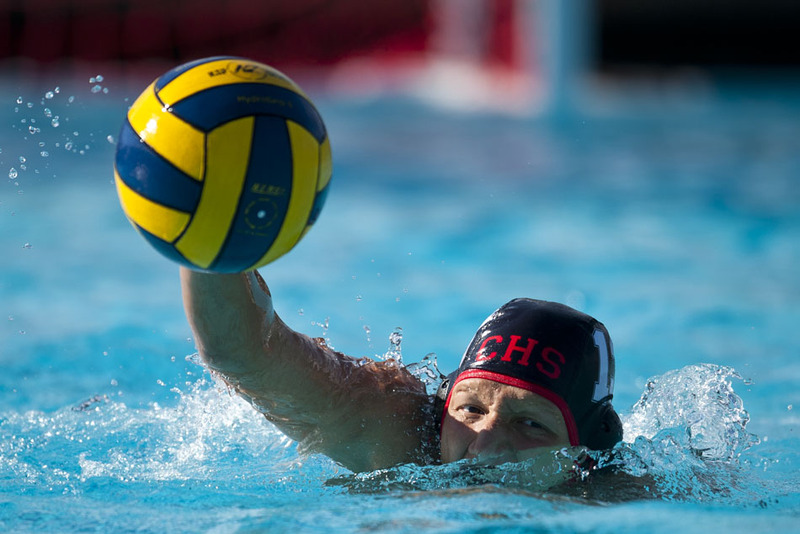 Canada won the match over Cuba 15-9 and will advance to the finals against the United States of America. 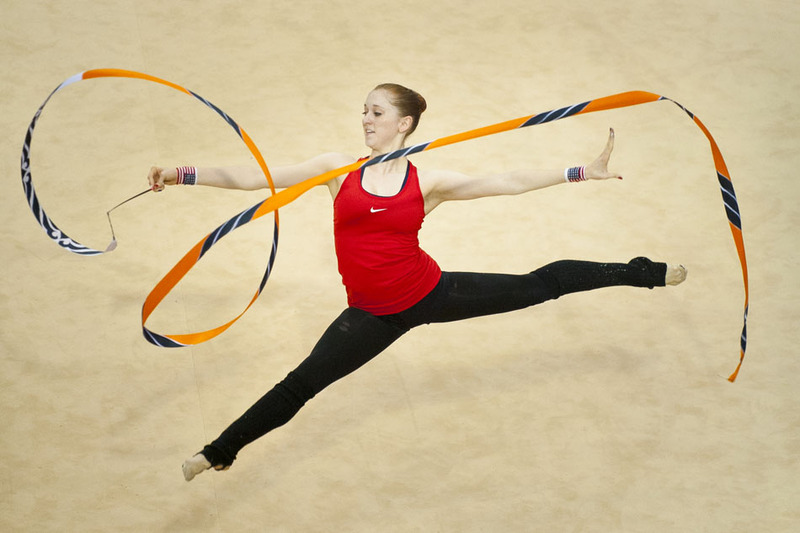 Oct. 14, 2011 - Guadalajara, Mexico - The United States of America Rhythmic Gymnastics team practices their routine at the Nissan gymnasium in preparation for the rhythmic gymnastics competition which starts tomorrow (Oct. 15). 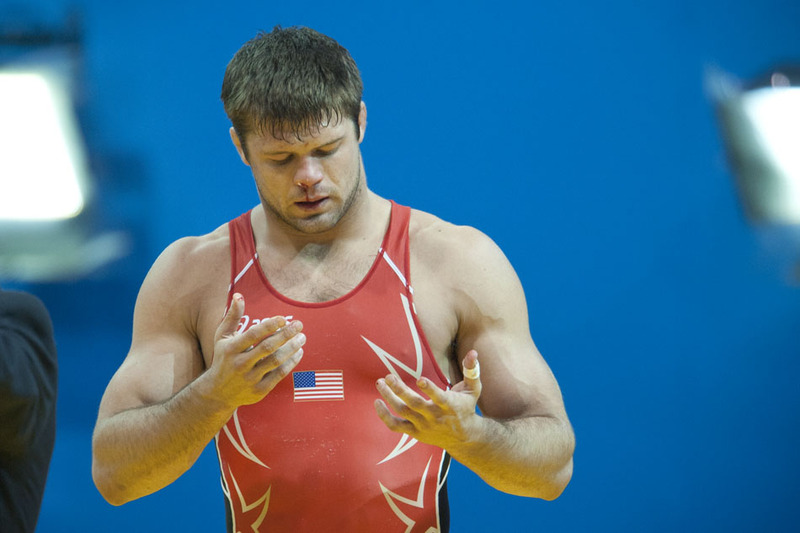 Oct. 23, 2011 - Guadalajara, Mexico - TERVEL DLAGNEV of the United States of America takes down DISNEY RODRIGUEZ of Cuba during their 120Kg weight class wrestling match, part of the Pan American Games. Dlagnev won the match for the USA 3-0 over Rodriguez of Cuba. 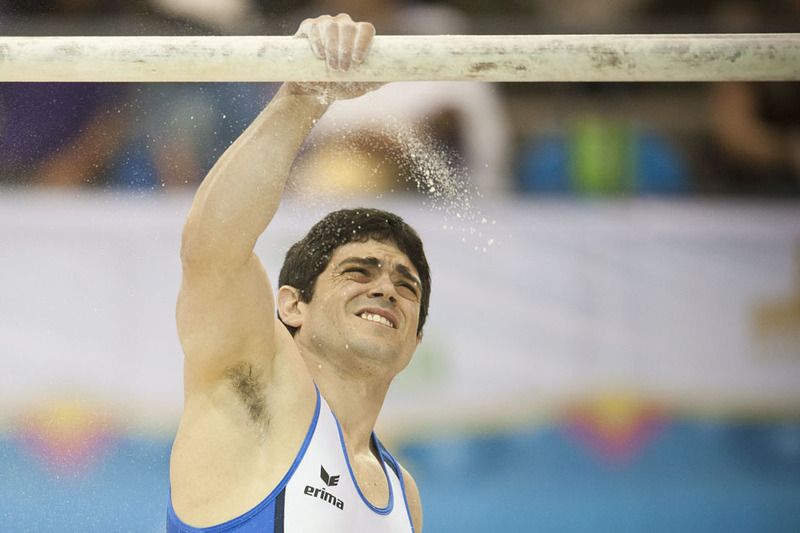 Oct. 25, 2011 - Guadalajara, Mexico - FEDERICO MOLINARI of Argentina puts chalk on the parallel bars in preparation for competition in the mens artistic gymnastics team final at the Nissan Gymnastics Complex, part of the Pan American Games. 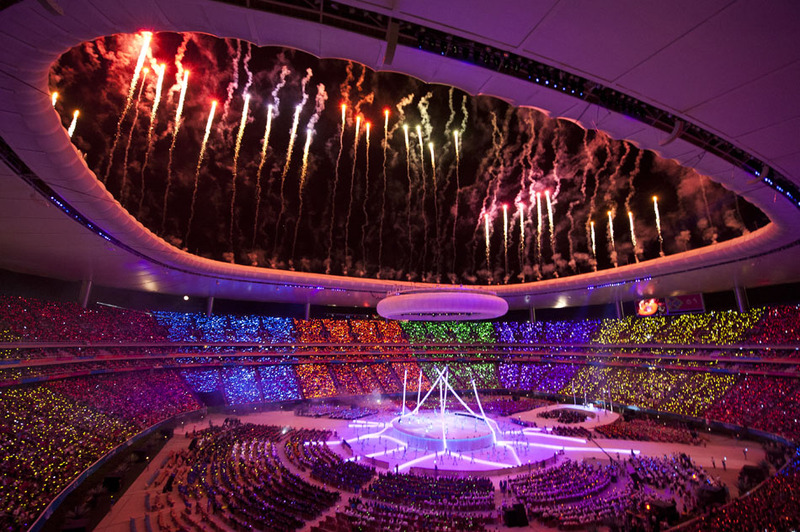 The team from Brazil won gold in the event with an overall score of 346.100, Puerto Rico took silver with 344.850 and the United States of America won bronze with 342.000 points. 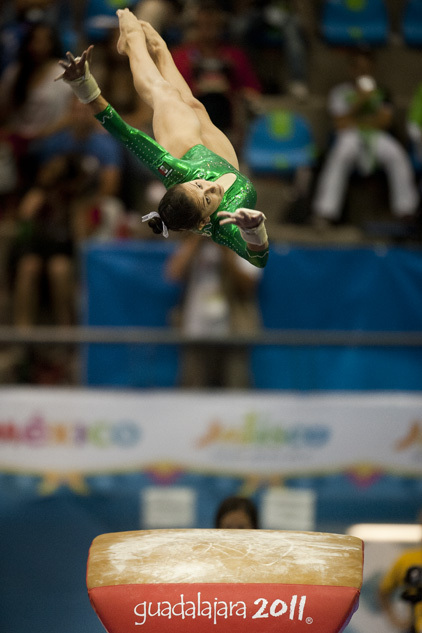 Oct. 25, 2011 - Guadalajara, Mexico - Elsa Garcia of Mexico competes on the vault during the women's artistic gymnastics individual final at the Nissan Gymnastics Complex, part of the Pan American Games. 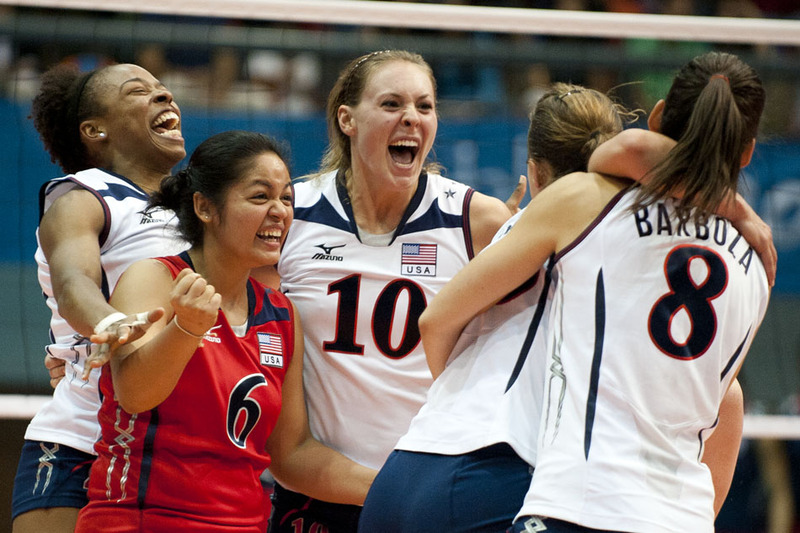 Oct. 20, 2011 - Guadalajara, Mexico - The United States of America women's volleyball team celebrates their bronze medal victory over the Dominican Republic. 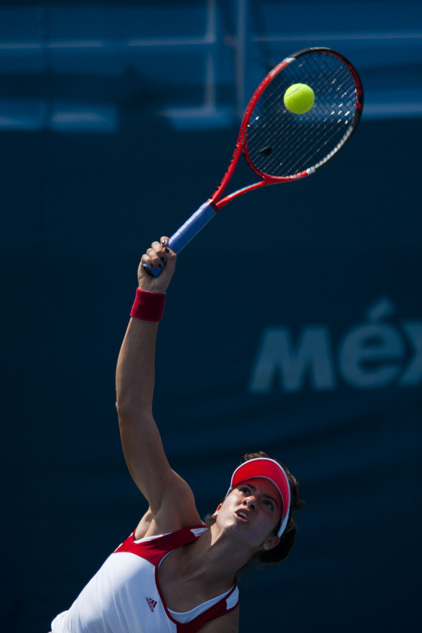 The United States of America won the match and the bronze medal over the Dominican Republic 3 sets to 1.